There are so many cooking oils and claims in the market, how do you know which to choose? A few years ago, olive oil was everyones favourite cooking oil, but it has been shown to be unstable at higher temperatures, making it unsuitable for some cooking applications. 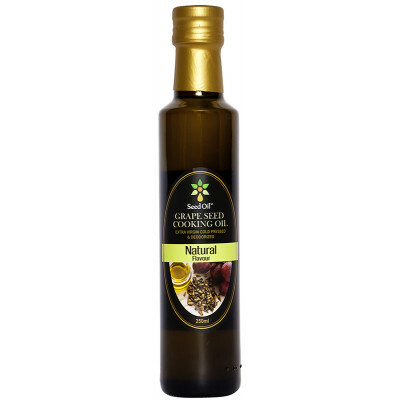 Grape seed oil has an extremely high smoke point (the point at which heat starts to break it down, making it unsafe to consume) and a neutral flavour, making it a great cooking oil. Did you know? Although it is an oil, and should be consumed as such, grape seed oil offers many health-giving benefits, like lowering cholesterol levels, reducing the ability of certain types of cancer cells to grow and reproduce, and improves cardiovascular health.